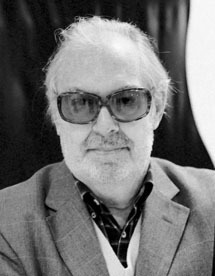 Born on August 6, 1931, Umberto Lenzi studied law and received a diploma in directing in 1956. After stints as a journalist and as the leader of various film fan organizations, Lenzi eased into the world of cinema by working as an assistant director (on 1961's Guns of the Black Witch) and screenwriter. 1961 also saw Lenzi helm his first feature: the action adventure vehicle Queen of the Seas (Le avventure di mary read). After directing a variety of war and western entries (1966's Last Man to Kill, 1967's Desert Commandos), Lenzi entered the world of horror by crafting 1969's enjoyable thriller Orgasmo. One of a handful of Lenzi giallo thrillers starring American actress Carroll Baker, Orgasmo certainly ranks somewhere at the top. The story centers on wealthy widow Kathryn West (Baker) who begins an affair with handsome young Peter and then agrees to let him move in with her. But soon Peter's sister Eva arrives...and Kathryn begins to doubt her own choices. Could the two relatives have some sort of sinister motive? Other Carroll-Lenzi giallos include So Sweet...so Perverse (1969) and Knife of Ice (1972). The 1970s saw several notable giallos from Lenzi including 1971's stylish Seven Bloodstained Orchids as well as 1974's plot-mad but entertaining thriller Spasmo. Lovers of dizzying heights of trash would do well to check out Lenzi's 1975 Eyeball. Lenzi gives enthusiastic (if illogical) life to the story of a psycho in a rain slicker who terrorizes a group of tourists on vacation, killing and extracting the eyes of the dead victims. The early 1980s saw Lenzi venture briefly into the Italian cannibal sub genre with Eaten Alive (1980) and the gory castration-flesh opus Cannibal Ferox (1981). Additionally in 1980, Lenzi turned out Nightmare City, a zesty zombie flick with its fair share of entertaining vignettes. Having worked in such a diverse variety of genres, Lenzi's 'trademark' style is often hard to pinpoint. Certainly an earnest desire to entertain his audience can be acknowledged running throughout his entire body of work, while erratic literary pretensions may pop up from time to time. That said, in the best of circumstances (and budgets), Umberto Lenzi's direction is always a reliable source of well-crafted suspense setups and thrilling storytelling.